Swim up to the Aqua Bar for a refreshing cocktail or drink. 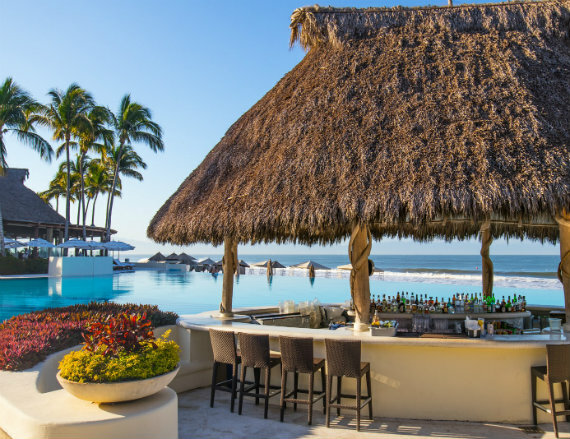 Take a dip in our sparkling infinity pool, soak up the warm Mexican sun, and swim over to the bar for a tropical libation. 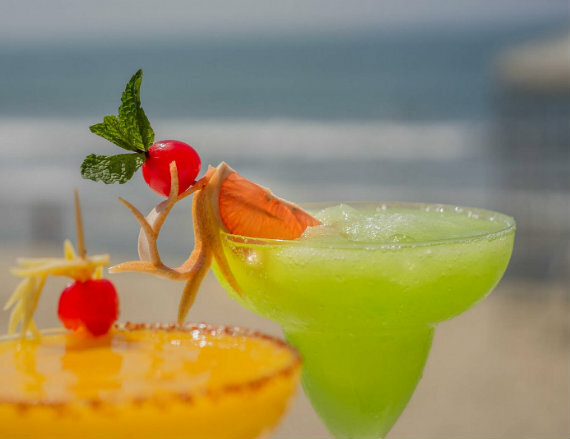 Experience a Nuevo Vallarta resort with a swim up bar where you can drink, eat, and embrace paradise. 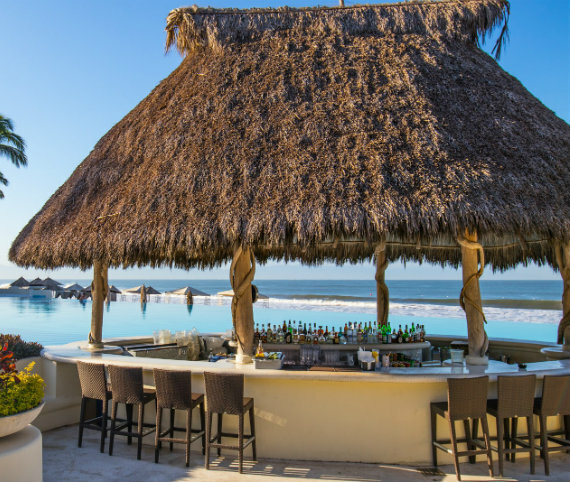 Relax in the idyllic oceanfront setting of our infinity pool as you sip a refreshing margarita or ice cold cerveza. Soak up the sunshine with your toes in the cool waters as our mixologists craft refreshing drinks made from premium spirits and fresh fruit and juices. 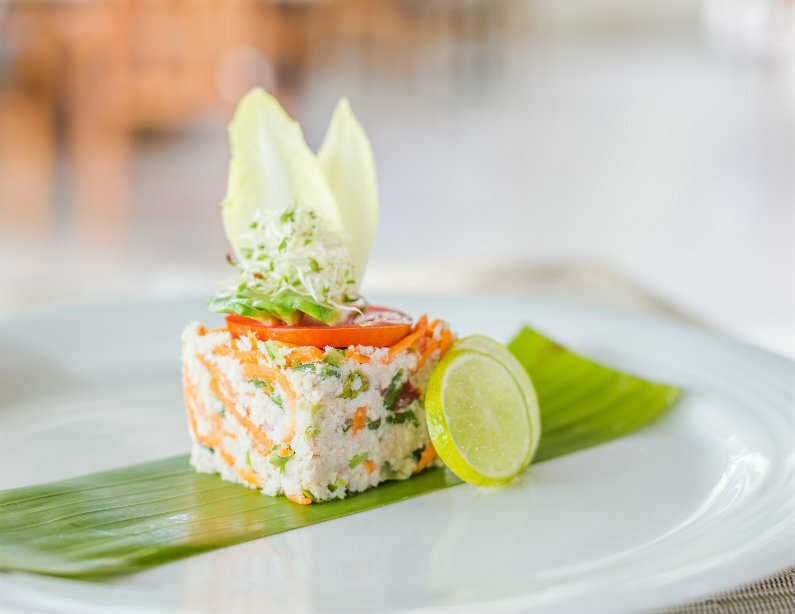 Located at the infinity pool, Aqua Bar offers locally inspired light fare, cocktails, beer, and soft drinks with lounger and poolside service. Aqua Bar offers a delightful menu of light fare, snacks, signature cocktails, beer and soft drinks - all served poolside. 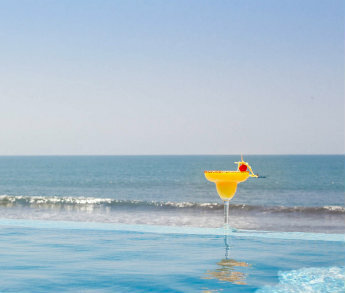 Lounge by the sparkling infinity pool with ocean breezes and refreshing libations crafted by our friendly mixologists. 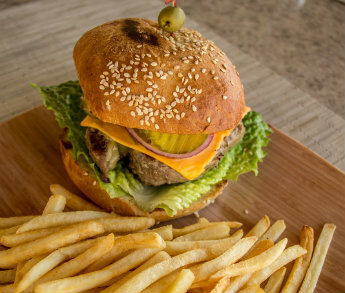 Aqua Bar is the perfect place for an afternoon bite and cool cocktails while you relax and bliss out.